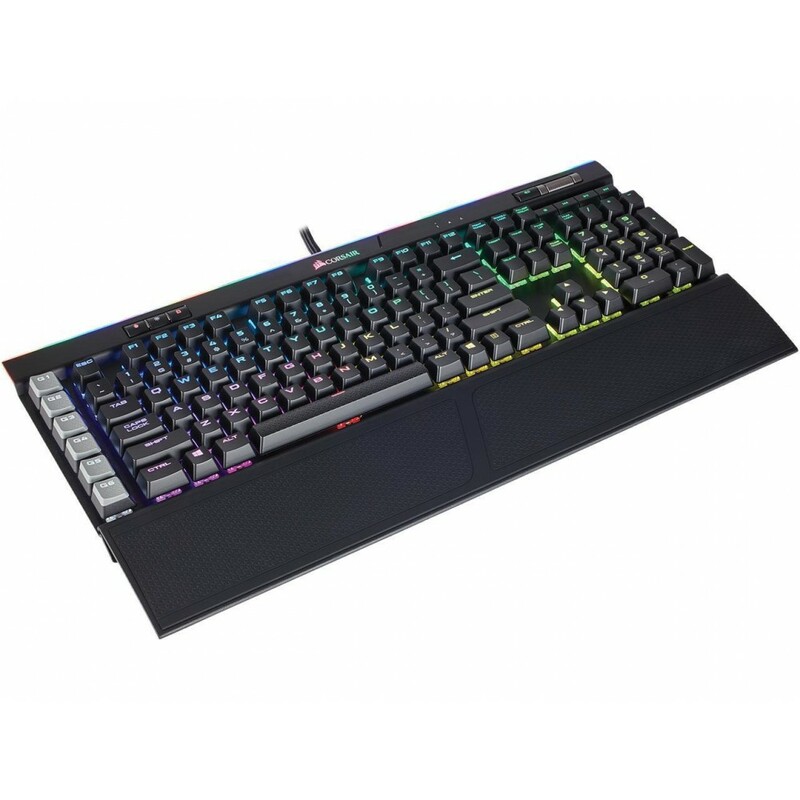 Without Wrist rest: 1.40" x 18.30" x 6.70"
8 MB profile storage with hardware macro and lighting playback: Allow access up to three stored profiles on the go, independent of external software. Dynamic multicolor per key backlighting with LightEdge: Adjust each key's color and illumination level in addition to 19-zones on the top edge light bar for sophisticated and dramatic animations and effects. 100% CHERRY MX Speed RGB mechanical key switches: Unleash blistering speed with the 1.2 mm actuation and durability of gold contact CHERRY MX mechanical key switches.